Please note: This is the entry for the original recording of 'Oxygene', do not add the "New Master Recording" here. 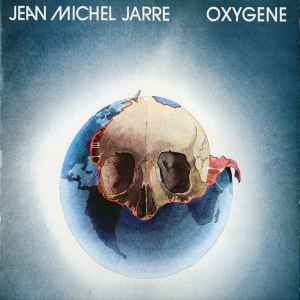 Oxygène is the third studio album by Jean-Michel Jarre. First released in France in December 1976, on the Disques Dreyfus record label licensed to Polydor, with an international release following in the middle of 1977. The album reached number one on the French charts, number two on the UK charts and number 78 in the US charts. Jarre recorded the album in a makeshift home recording studio using a variety of analog synthesizers, one digital synthesizer as well as other electronic instruments and effects. It became a bestseller and was Jarre's first album to achieve mainstream success. This version sounds much better (almost analog) than the older 800 015-2 West Germany 1986. I have both and the difference is noticeable. my copy of oxygen came with an autographed postcard in it. 100% certain i bought this in 1985, could help date it at some point. The first widely available album by Jean Michel Jarre, it really defined the electronic music genre and introduced many people to the sound of the synthesiser. It is will very contemporary and listenable even now. This is the real first pressing, first release of the cassette in Chile. Manufactured by Philips Chilena, with the Polydor imprint, Francis Dreyfus Music licensed this and Disques Motors is not mentioned anywhere on the labels/jacket, perhaps because at that time, 1978, FDM became Disques Dreyfus. This gray cassette casing with orange paper labels was the initial release, not the white paper and the silkscreened versions which were released during the mid 1980's and early 1990's. Actually. When listening to this I could not hear any clear difference in dynamics from the original release. Has anyone else had the same experience? Futuristic and gifted album. JMJ & Kraftwerk were so innovative, with the former producing lighter sounds and the latter being more in a dark atmosphere, back in the seventies. Take the second part of Oxygene. I don't know why, but it reminds me of sounds used by the genius Rom Di Prisco in the soundtrack of Need For Speed : Hot Pursuit, more than 20 years later than the "Oxygène" release (but with techno & trance beats). Wanna expand your knowledge about electronic music ? Listen to this, since it is a real turning point of this huge and diversified genre.